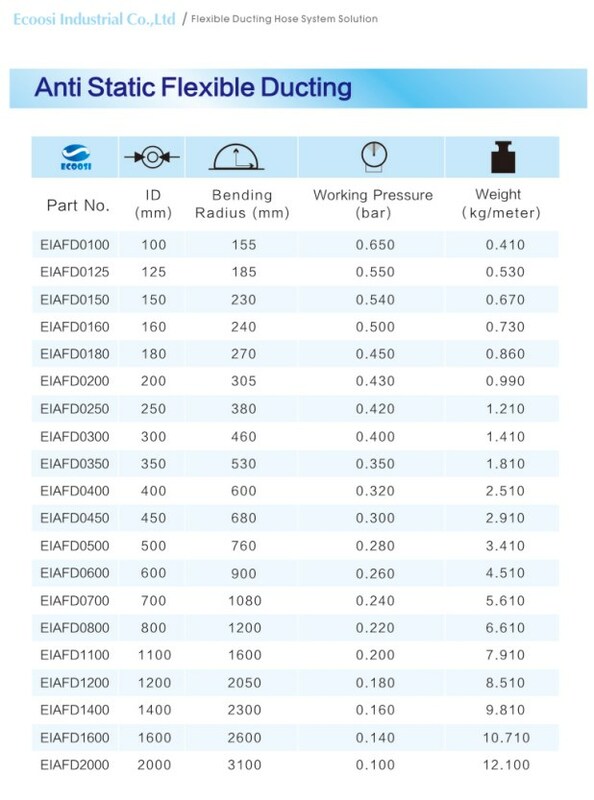 Applications: flammable and explosive places such as petrochemicals, medicines, oil tankers, etc., to extract chemical odors. 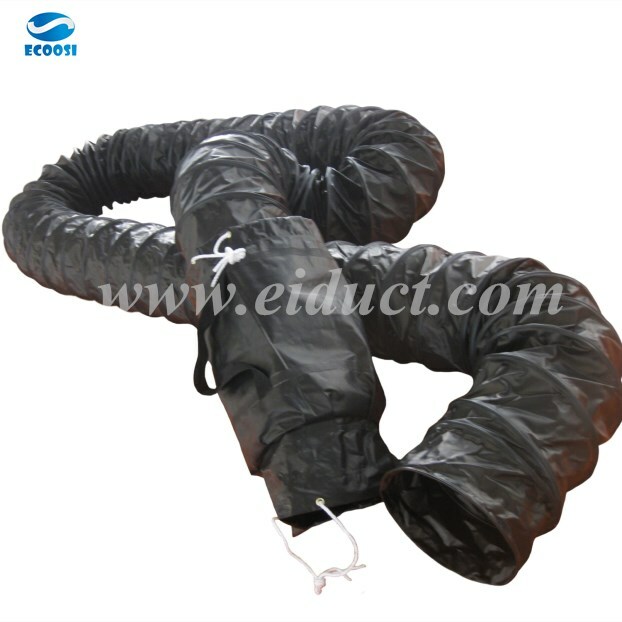 Ecoosi anti-static flexible ducting hose - Explosive Proof Anti Static Flexible Ventilation Duct Hose is made of PVC, which has excellent flame retardant performance, good static conductivity, and excellent physical and chemical properties, and is made of spring steel wire, wear-resisting tape, etc. Explosion-proof anti static flexible duct body is seamless, airtight, wear-resistant, corrosion-resistant, and compressive strength. reach the safety of the place of use. Explosion-proof anti static flexible duct supporting explosion-proof fan is mainly used in ventilation, ventilation of flammable and explosive places such as petrochemicals, medicines, oil tankers, etc., to extract chemical odors. Ecoosi's Explosive proof anti static ventilation duct is available in a variety of ID sizes from 100 mm to 2000 mm.